The 2015 Land Rover LR4 luxury SUV is a dying breed. While many luxury SUVs brandish the ability to coddle passengers and flaunt a steep price tag, only a handful can take their owners places no ordinary SUV dare venture. 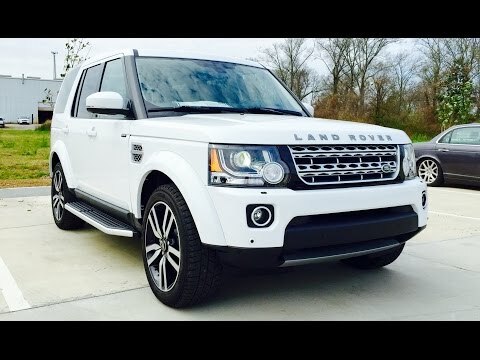 For those who truly need to escape civilization in a civilized manner, there's the 2015 Land Rover LR4. It is a classy vehicle, with a sporty edge, and it is comfortable to drive. It is so comfortable to drive, it feels like I am sitting high on a sofa chair. I love that it has a sport mode. I hate that the brakes need to be changed nearly every 12 months. If these safety systems are disabled, a loss of vehicle stability and control may occur, increasing the risk of crash. Land Rover will notify owners, and dealers will update the ABS software, free of charge. The recall began on May 21, 2015. Owners may contact Land Rover customer service at 1-800-637-6837. Land Rover's number for this recall is P062.